Looking for a way to boost your vehicle’s appearance and make your ride more comfortable? 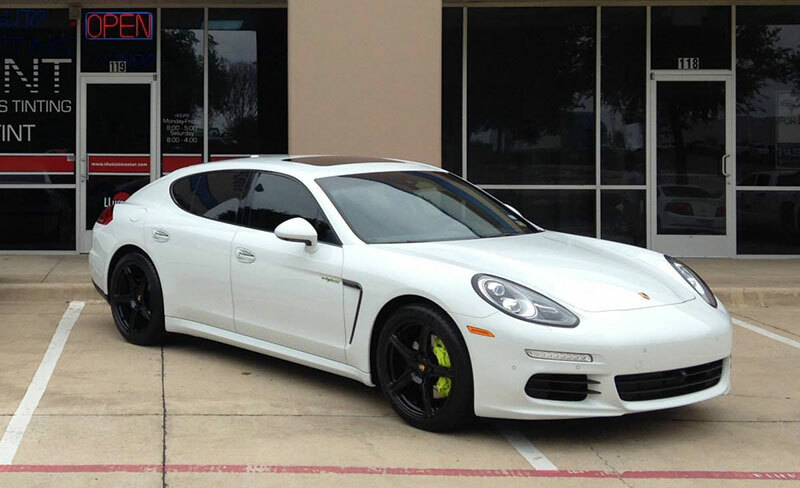 Consider LLumar automotive window film from Pro Tint in Plano! With state-of-the-art computerized film cutting technology, we guarantee a perfect fit for your vehicle. At Pro Tint, we combine the industry's leading automotive window film products with professional, expert installation right here in the Dallas area to ensure you and your passengers stay cool on every trip you take, even during the hottest summer months. All of the LLumar automotive window tint we install is made in the U.S. and is backed by a lifetime limited manufacturer's warranty – if issues arise with your window film, just drive in to any authorized LLumar dealer in the country for service. Together with our own satisfaction guarantee, you can be sure you're receiving a quality product installed by knowledgeable experts. LLumar car window tinting comes in 3 different options for Dallas drivers. Each window film offers the ultimate in both UV protection and eye-catching style at a price that fits your budget. LLumar car window film is designed to enhance the beauty of your vehicle. As an authorized Dallas-area LLumar dealer, we offer dyed, ceramic and metallized window films in a variety of charcoal shades, from clear to dark. In addition, our ceramic tint options maximize heat rejection without interfering with your keyless entry, GPS or other technology. With LLumar and Pro Tint, you get the level of privacy you want and the style you crave. Did you know the sun’s ultraviolet rays can increase your risk of skin cancer, even when you think you’re safe inside your vehicle? LLumar window tinting, which is recommended by The Skin Cancer Foundation, blocks 99% of dangerous UV rays that cause premature aging and skin damage. In addition, window film prevents your interior upholstery against fading, cracking and peeling. LLumar window tinting rejects up to 64% of the sun’s heat and often can drop the interior temperature of your car by up to 30°. By helping to maintain the temperature in your car, you depend less on your air conditioner, which means greater fuel efficiency overall. No matter how hot the Dallas highways get, you always stay incredibly cool! Glare from the sun and other car headlights is not only annoying, it can be dangerous when you’re trying to concentrate on the road ahead. LLumar automotive window film reduces glare by up to 80%, helping to keep your squinting to a minimum. In the event of an accident, the strength and durability of LLumar film helps hold your vehicle’s window in place, defending your passengers against injury from flying glass and debris.